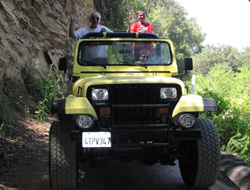 Includes door-to-door service from Santa Barbara, driver/guide narration, a stop at painted cave, a short hike and interactive activities for children. Childern must be 6+ years. Ready for a great family adventure? 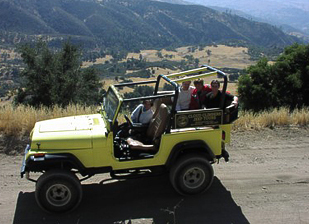 Then jump in a jeep and discover the mountains and backcountry of beautiful Santa Barbara learning area history and nature! 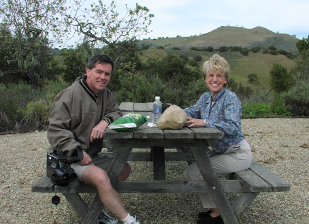 This tour takes you from the coast, up the San Marcos Pass and across the ridge of the rugged Santa Ynez Mountains. Travel along portions of the Old Stage Coach Road, as the “Mud Wagons” did over 140 years ago. Take an invigorating family hike, as you wind your way through huge rock formations and boulders to the sandstone cliffs of “Lizard’s Mouth”… a magical place with a bird’s eye view of Santa Barbara, the Pacific Ocean and the mysterious Channel Islands, just 23 miles off the coast. Along the way, your driver/guide will challenge you with a special, “Discovery Game”. Listen carefully for clues to questions about the region’s history, plant and wildlife. Become enlightened to the Chumash Indians and entertained by some interesting local tales. 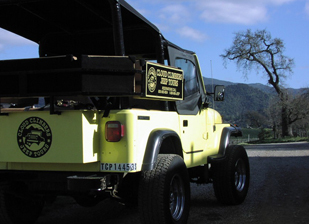 Let CLOUD CLIMBERS JEEEP & WINE TOURS make you the “explorers” during this fun and memorable family adventure!